Falago was ridden with purpose to lead and got there easily, Koroibete and Fast And Free were up handy with Tashbeeh landing in a good spot and Pin Your Hopes pushing forward. Ihtsahymn found himself three wide behind the slow speed and Abbasso was back behind him. Pin Your Hopes moved alongside Falago and by the 1000m mark Fast And Free took off to head them both. Tashbeeh stayed on the fence next and Koroibete and Ihtsahymn were outside the favourite. They bunched up again coming towards the turn and Falago started to edge forward to join Fast And Free. Pin Your Hopes and Koroibete were off the bit while Tashbeeh waited for the run. Ihtsahymn tried to come on wider out but was also hard at it and Bass Strait pulled off his back. Falago took over again at the 200m and went for home and Tashbeeh was out in plenty of time to chase but couldn’t bridge the gap. Bass Strait ran on down the outside but was cut out of third by Vatuvei rushing along the fence in a very good first-up run for a jumper. Fast And Free weakened while Koroibete ran a patchy race, he came again in the last 50m or so suggesting the stop-start race wasn’t for him. Calaverite had good speed from the outside but couldn’t cross The Big Dance. Mossin’ Around and Cana sat behind them but the field then strung out as The Big Dance ran clear. Weather The Storm got up inside Mossin’ Around who then had to ease off Calaverite’s heels.Make Her Own Whey found herself three wide and Risqué settled second last behind Safariann and was pushed along to keep up. The Big Dance held a couple of lengths around the turn and Calaverite was immediately struggling. Cana stuck on and Mossin’ Around got to the outside to make her run. Right on her back was Risqué. Mossin’ Around hit the lead at the 100m with Cana and Risqué was still a length back and closing on the outside and Weather The Storm made ground on the fence. Mossin’ Around couldn’t withstand Risque’s finish and the ex-Kiwi proved a little too classy. Mossin’ Around was game but brought undone whey they strung out and she was forced further back than normal. Cana and Weather The Storm were both handy efforts, look for the latter in a maiden somewhere. Follow: Risqué is in for a very good Autumn. Concealer was slow either by design or due to a check and settled last. Sword Of Light jumped quickly from out wide but wasn’t able to cross and Selenia and Dream First held her out. Quick Feet landed behind the speed and Emphatically also found a nice spot whileThyme For Roses was three and four wide. Calliope was just inside her with Kinetic Design on the fence and Samara Dancer between them. Dream First travelled okay to the turn in front then put under pressure. Quick Feet took a rails run and Selenia made her run. Behind the leading bunch Samara Dancer had worked into the clear, shortening up Calliope a bit, and was looking dangerous. Concealer was launching from the back and Miss Nymeria burst through the centre. Quick Feet couldn’t get to them and Calliope started to pick up again. Samara Dancer strode past Selenia and kicked clear for an impressive win. Concealer was hard to miss storming into second place with Miss Nymeria picking up Selenia for the minor prize. Calliope made some ground after trouble early in the straight and Sweet Sherry also ran on when the race was over. Follow: Concealer was the run of the race. Cohesion showed a heap of speed and cleared them easily. Capannello and Star Turn were a couple of lengths back with Lionhearted,Bullion Wolf and China Dream the next group. Flying Artie was forced to sit wide about midfield around Ocean Grove and Power Trip. Cohesion travelled to the turn but was immediately felt for as Star Turn cruised up on the outside. They were a couple clear inside the 300m of China Dream and Flying Artie starting his run. Bullion Wolf and Capannello couldn’t go with them. Star Turn was about a length in front of Flying Artie at the 100m but was no match as Flying Artie powered over the top in a strong win. They gapped the rest with China Dream holding third. A wall chasing the minors with Revolving Door a nice debut running on right down the outside, Bullion Wolf and Power Trip close up. Cohesion weakened right out of it, burning a bit too much petrol early. Follow: Flying Artie earned his place as one of the main Blue Diamond chances. Heatherly didn’t jump the best but had the speed to shoot through and lead comfortably. Just A Bullet and It Is Written broke well to be there and Eclair Choice was also handy. Midfield were Husson Eagle around Politeness and Kuro. Heatherly had an uncontested lead and extended the break to three coming around the turn. Just A Bullet was doing his best to try and stick with her but Heatherly basically had the race won on the bend. Eclair Choice was one paced three out and Lake Geneva got up on the inside making a short dash. Politeness was being held up behind tiring horses and didn’t get clear until about 150m out. By that time Heatherly was some five in front and she cantered in. Politeness hit the line well in a nice return and the bolster Just A Bullet held the rest off for third. Lake Geneva, Kuro and Eclair Choice were there and all had no chance the way the race was run. One horse race thanks to a few questionable tactical choices but you can only win and they took advantage of her speed and light weight. Form might be misleading though. Follow: Politeness did everything right first-up and will be even better at 1400m and above. Snoopy and Holler jumped well but they were kept off the fence by Mahuta using the inside barrier who ran to the lead. Snoopy took hold and settled ahead of Sailing By and Rageese getting cover. Hardern was three back on the fence inside Devil Hawk who didn’t look to settle that well. Mahuta had the field stretched out in the middle stages though Holler was right on his wheel. Snoopy was in the clear a couple back with a similar gap to Rageese and Sailing By. Devil Hawk dropped the bit and lost ground. Mahuta kicked away from Holler to the 300m and the latter was struggling to keep up. Snoopy tried to run on on the outside and Sailing By was winding up on the fence. Wide outTarzino start to run on from last. Mahuta really started to paddle in the last 150m but he did enough to hold off Sailing By who drove at him late and Snoopy right with them too just ahead of the eye-catching Tarzino in a super first-up effort. Holler had every chance and was simply gassed by the winner. Devil Hawk got going again late but found it too short. Follow: Sailing By and Tarzino were both excellent efforts fresh. Messene showed out early with Mourinho on the speed before Turn Me Loose was sent on to take it up. Entirely Platinum was caught wide so pressed on to be outside the lead. Trust In A Gust settled behind them with Rebel Dane and Suavito on the inside. Stratum Starwas also wide with Fenway and Bow Creek underneath him. Red Bomber was in the three wide line and Lucky Hussler and Boban were back there too. Turn Me Loose wasn’t pressured in front but he also wanted to pull more than a length clear of Entirely Platinum. Mourinho was pushed along to go three deep and Messene, Rebel Dane and Suavito had nice stalking spots. Trust In A Gust was under pressure on the turn too as Stratum Star came to his outside and Hucklebuck was working clear behind that pair. Turn Me Loose had Entirely Platinum’s measure at the 300m but couldn’t kick much more than a length clear. Suavito took the run off his heels while back in the pack Lucky Hussler was green and checked Bow Creek. Rebel Dane had his chance to make a dash while Hucklebuck was really motoring out wide. Suavito got to Turn Me Loose just inside the 100m and proved too strong for a luckless Lucky Hussler driving late and Hucklebuck dying on his run. Turn Me Loose may have raced a bit fresh but appeared to have his chance while Rebel Dane was honest but just not quite good enough. Trust In A Gust and Stratum Star were fair and Boban made good ground late. Bow Creek picked up some lost ground too along the inside. Follow: Hucklebuck is flying and just needs a barrier, perhaps forgive Turn Me Loose and Bow Creek. Burning Front bounced out and found the top quite easily as Sadaqa let him go. Tudor was up handy from Dances On Stars while Red Excitement was caught wide and moved up to fourth with Pure Karma in that group. Amorino was about midfield as Dances On Stars drifted back to be with him. Burning Front was largely left alone and Red Excitement moved to second midrace. Tudor and Sadaqa held their trailing spots and there was a gap to Pure Karma who then broke down and was pulled out of the race. Dances On Stars improved on the inside and Amorino lost about a length as Pure Karma dropped out. Burning Front kept rolling and Red Excitement was put out of his comfort zone. Tudor and Sadaqa were slapped up to try and get into the race and Dances On Stars got a run between them. 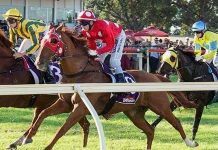 There was no stopping Burning Front and he held a couple of lengths on Red Excitement while Dances On Stars ran into third with Amorino making a bit of ground. Follow: none, form is well exposed here. Azkadellia half reared out of the gates and in the second half, but was probably always going to be. Choose and Shakespearean Lassshared the lead clear of Tuscan Sling around Wawail. Chiavari kept that pair off the fence while Miss Steele had cover outside Nadeem Lass. Azkadellia wound up following them. Choose held the lead from Shakespearean Lass while Tuscan Sling strode up three wide well before the turn. That gave Miss Steele some cover and Azkadellia followed her. There was a wall in contention at the 200m as Choose had it narrowly, Shakespearean Lass was starting to weaken and Wawail tried to get up on the inside. Miss Steele couldn’t quite go with them either while Azkadellia was running on wider out. Tuscan Sling got to Choose soon after and drove strongly to the line to beat Azkadellia just getting up for second over Choose. Wawail had her chance next as did those behind her. Follow: Azkadellia wasn’t disgraced first-up and will improve. Specials from the meeting: Risqué, Hucklebuck, Sailing By, Azkadellia. Fairly fast start here, Clark on Vienna Waltz seemingly determined to get the best of it as he bolted away to immediately open up a gap on Prized Icon, with Bowman staying with the tempo but fairly content to let the leader have his way. From there the order was Spright, Sugarparma and the favourite, Telperion. 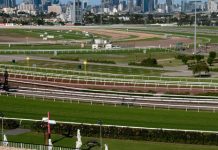 The speed continued through the turn with a slight bunching of the field, and the favourite still sitting last by a noticeable margin. Into the straight and the leader looked to tire, as the pedal was stepped on by Collett on Spright, who had made his way to the fence, and McDonald on Telperion, who had swung to the outside and looked for home. Prized Icon also came up to tackle Vienna Waltz and all three claimed the pacesetter easily, Telperion briefly looking challenged before justifying the favourtism and claiming a comfortable win. Berry clearly wanted the front on Springbok Flyer and it went to plan, as he jumped best along with Defrost My Heart on his outside, who looked to go forward and crowded Mr Steal briefly before they sorted themselves out. Avdulla went out wide but Berry looked to seriously string the field out, putting the foot down around the turn as the pair of them opened up five lengths into the back straight. Magical Stance led the rest and himself had about three lengths to Tucanchoo and Defrost My Heart, the latter being the only one looking to make a move. Berry slackened the speed right off and Avdulla followed suit allowing the rest to catch up, Defrost My Heart leading them until Dream Folk made a move around the side of the course to put himself in the frame. Up front Avdulla made his move on Mr Steal, going up to Springbok Flyer’s outside, but the leader refused to yield and the two engaged in battle as they straightened for home. Berry still looked relatively relaxed and Mr Steal dropped off, before Defrost My Heart moved up to lay down the final challenge. Now Berry got into his mount and a fight to the line took place, Springbok Flyer on the inside holding on for a very tough win running away. Mr Steal ran on best to come in third. Watch: Springbok Flyer – led gate to post again and looks a big-hearted campaigner. Group 2 event and favourite Stay With Me jumped reasonably well before McEvoy immediately pulled him back to last. Up front Harlem River led them away with Tempt Me Not on his heels, Pearls in third with Kangarilla Joy caught outside him, followed by Perignon and Perasino, who looked extremely keen as Costin struggled to keep hold of him. Stay With Me stayed at the rear and looked briefly held up into the first turn, before the whole of the field settled to a comfortable pace as they cornered. Bunching out of the turn but with little change in order, Avdulla on Harlem River held the lead up the rise as the rest gave chase, with Perasino the only one to raise the white flag. The favourite was still back some five lengths off the lead. Harlem River was duly tackled by Kangarilla Joy on his inside and Tempt Me Not on his outside, before Perignon, coming from a healthy distance behind them all, turned on a thrilling burst of acceleration that shamed them all and allowed him to claim a diving win. Stay With Me never really got going. 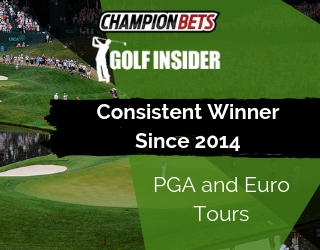 Watch: Perignon – the winner’s late burst was an attractive sight. Genuine battle to get to the front at the start, Fairyland and Bazza’s Boy pushing from the inside whilst Akiko Gold and Flaming Commodity made it across from wider. Sirius Spy eventually motored up between the two inside runners to claim front running with Akiko Gold and Bazza’s Boy conceding, with a couple of lengths to Flaming Commodity, Fairyland, and Swivet just on their outside. Fairly orderly going as the pace slowed around the side of the course with minor moves from Swivet, still caught wide, and Lady Lobban out one lane further trying to make some ground. Out of the turn and the field fanned right out, Sirius Spy still leading them from Akiko Gold and Bazza’s Boy as Swivet and Lady Lobban continued to make ground to join them. Lady Lobban was however the first to drop out as they mounted a charge for the line – Bazza’s Boy, Sirius Spy, Akiko Gold and Swivet, who were joined by the invaders down the centre of the track in Kingstons Kid, King’s Officer and Blu Boy Jag, all bounding furiously. A wall of horses and precious little in the finish with Swivet claiming a photo from a tough Sirius Spy, and a hard finishing King’s Officer. Watch: King’s Officer and Blue Boy Jag both hit the line with furious intent. Aussies Love Sport exploded out of the widest gate to go forward initially, Decision Time going with him and McEvoy shoving the favourite Rich Enuff through to also look for the lead. 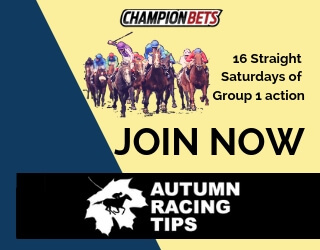 Avdulla won this early battle on Aussies Love Sport from Rich Enuff, who got up the inside of Decision Time as the trio opened up a couple of lengths to Boss Lane, followed by Big Money on the outside of Forget, with Generalife bringing up the rear. The field remained fairly strung out around the side of the course, the pace dropping off until they turned out and made their way up the rise. McEvoy moved Rich Enuff up to Aussies Love Sport, and Decision Time and Boss Lane also passed with relative ease. It was Rich Enuff and Decision Time fighting for the line until Big Money raced up their inside from well back, edging them out in a three-way photo. Watch: Big Money – impressive bolt to the line from the winner. Not an overly hard start as Testashadow went forward early almost by default, with Vitello on his outside and Moral Victory showing some intent up the inside. The latter two pushed ahead from Testashadow, who kept up the pace to open couple of lengths to Dee I Cee and Muraqaba, followed by Alegria, Duibio and Randiki last of all. Around the side and the leaders attempted to slow somewhat, but Clenton on Testashadow wasn’t keen to follow suit, keeping the foot down and taking her mount around the outside and forcing Berry on Vitello to go with her. Vitello took the last turn with the inside running and Testashadow just off him, and challengers looked sparse until Alegria and Dee I Cee, both further out, were asked the question and responded. The order stayed that way for those three as Vitello stopped in his tracks, Testashadow running on to win by half a length. Much heralded return to the track for Winx, and the Cox Plate winner jumped well from the inside barrier to sit comfortably behind the leaders. Second favourite Solicit had the best of the start, McEvoy motoring to the front and keeping the speed on to lead Leebaz, Bohemian Lily and Centre Pivot. Winx was next on the fence with Dibayani on her outside and being trailed by Hauraki and Magic Hurricane. 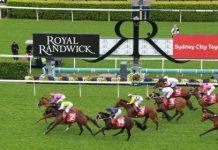 McEvoy kept the speed up around the side of the course to maintain a strong lead, with Dibayani moving on the outside to take up third position as Bohemian Lily eased slightly next to a cruising Winx. 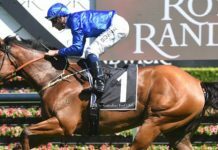 Bowman did little more than ensure he maintained a lane on the rails as Hauraki acted as a shadow on Winx’s every move. 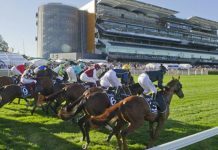 As they straightened McEvoy continued to push Solicit, but it was with a sense of inevitability that Winx moved up on the inside to take the lead and saunter away for a comfortable win, barely breaking a sweat. Hauraki continued to follow and ran on to take third narrowly from Dibayani, who finished nicely. Best jumps were from Peeping and Andsoitiswriten from out wide, but neither could get across in front of Vergara and Sultry Feeling who took up the early lead. The outside runners settled just behind and were followed by Adorabeel on the outside of In A Wink and Slightly Sweet, with Savoureux back on the fence and Bermude Blu bringing up the rear. The queue remained around the turn and into the straight, with Vergara keeping up the pace as Sultry Feeling and Peeping moved up on her outside. The rest looked cooked as those three battled it out to the line, before Vergara tired and was caught by a fast finishing Savoureux, who hit the line hard from well back to claim third. Watch: Savoureux – Impressive dash to claim a place when all looked lost. Fairly even start from the large field apart from War Jet, who completely missed it to be 3 – 4 lengths back immediately. A wall of runners at the front as Religify edged to the lead along with Brustar on the outside, and Meursault on the inside with Wild ‘N’ Famous stalking. Metallic Crown shoved its way through on the rails, whilst on the other flank Open Book was caught very wide as they rounded the turn to the side of the course. Likewise Supreme Effort, a further spot back and also very wide. Meursault had the lead out of the turn and was still held very tight before finally being let go. 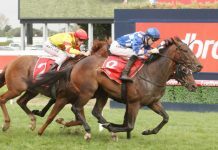 The challenges came from wide – Supreme Effort and Crooked Blaze both making ground very quickly – the former pipping Meursault at the line by the narrowest of margins. Watch: impressive finish from Supreme Effort and Crooked Blaze. Horse to follow: Perignon, Springbok Flyer, King’s Officer, Big Money, Winx, Savoureux, Supreme Effort.